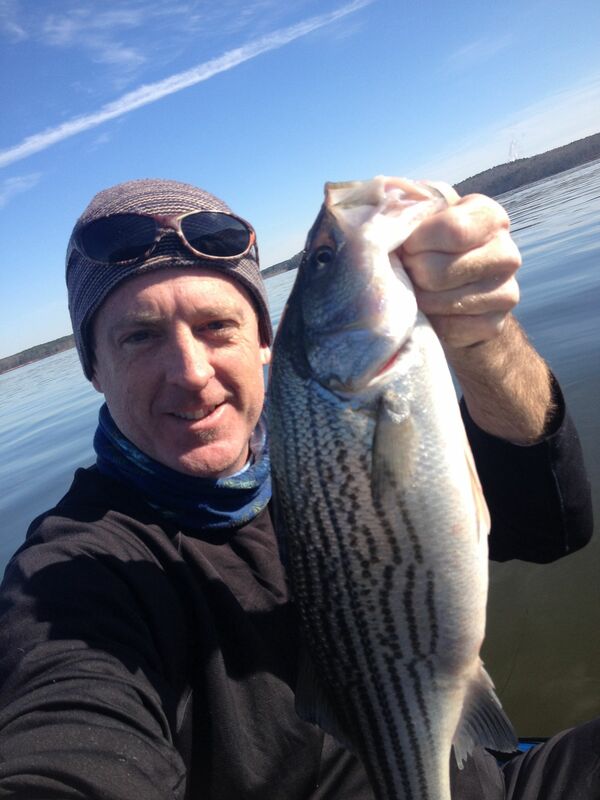 Winter Stripers fight hard and are a great excuse to get out and brave the cold. So I got out for only my second trip of the year yesterday and the bite was really hot again. 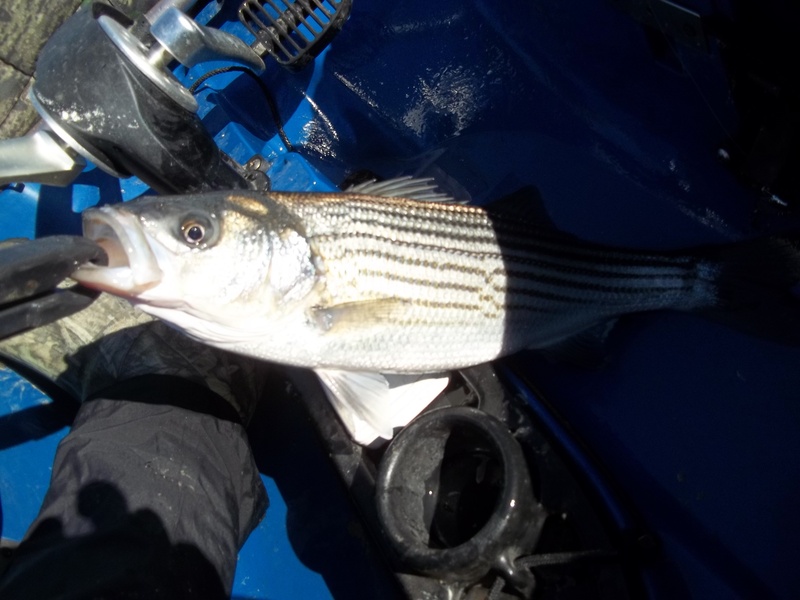 I found striped bass in 15′ – 18′ feeding heavily. I went out in the kayak and targeted structure with jigs and spoons. Needles to say, the sonar was very important yesterday as it was a bluebird, high-pressure day. All my fish were caught just off points and yesterday they were crushing the lures. I didn’t go out in the morning, it was in the 20’s and there was a north wind forecast. But I saw that the wind was supposed to switch over to an easterly around lunchtime so I couldn’t resist the trip. I went one other time this year and found fish in the same depths, but on a totally different type of structure. That particular day the fish were barely hitting the lures, and every time I fought one to the surface it only had a single hook in it’s mouth. 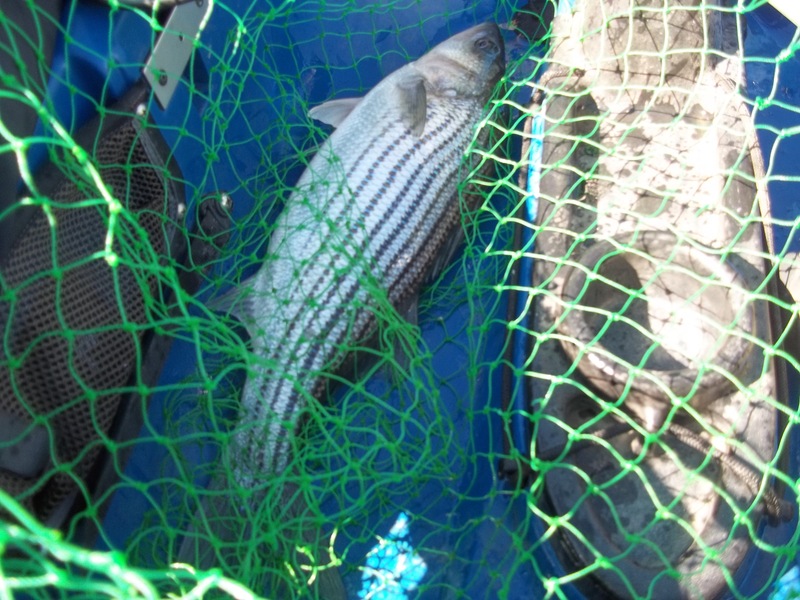 I hadn’t taken a net and lost several really nice ones trying to get the fish grippers in their mouths. I’d grown tired of dealing with a net in the yak, fighting with getting lures out of snags and had really gotten comfortable using the grippers, but that’s no good when they aren’t crushing the lures. And thrusting your hand into the mouth of a thrashing striper with treble hooks exposed is not something anyone with any experience with this species will do more than once. So I brought a net yesterday and didn’t lose a single fish. Lesson learned. 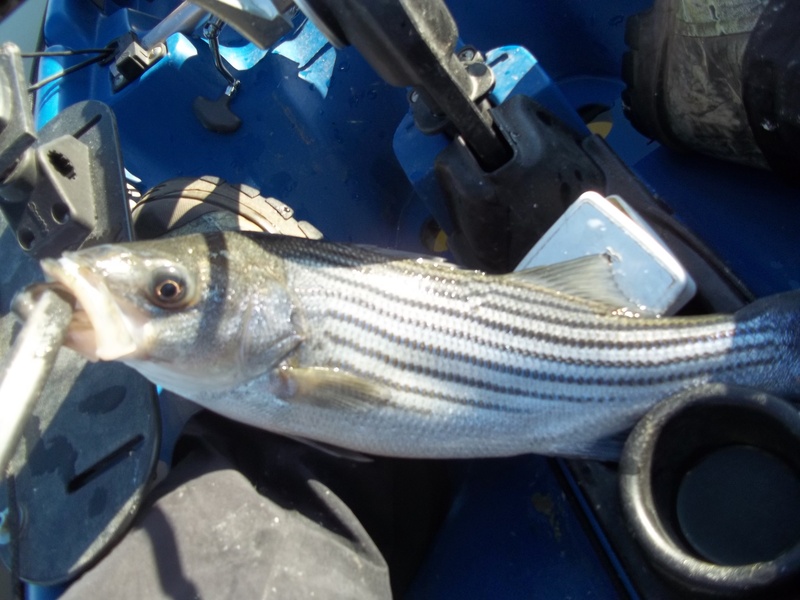 I landed 7 stripers over 20″, and the best fish was a thick 25″ specimen that probably weighed between 6 and 7 pounds. It had broken lines on both sides and had gorgeous colors. I didn’t target or catch any other species, but there were some smaller fish I didn’t take pics of. As you can tell by the surface of the water it was fairly calm, which is the ideal condition for wintertime fishing. Whether you are using live bait and fishing vertical or using artificials; like jigs and spoons, windless days are the best. This allows you to stay on top of good marks, trees and contours around points pretty easily. 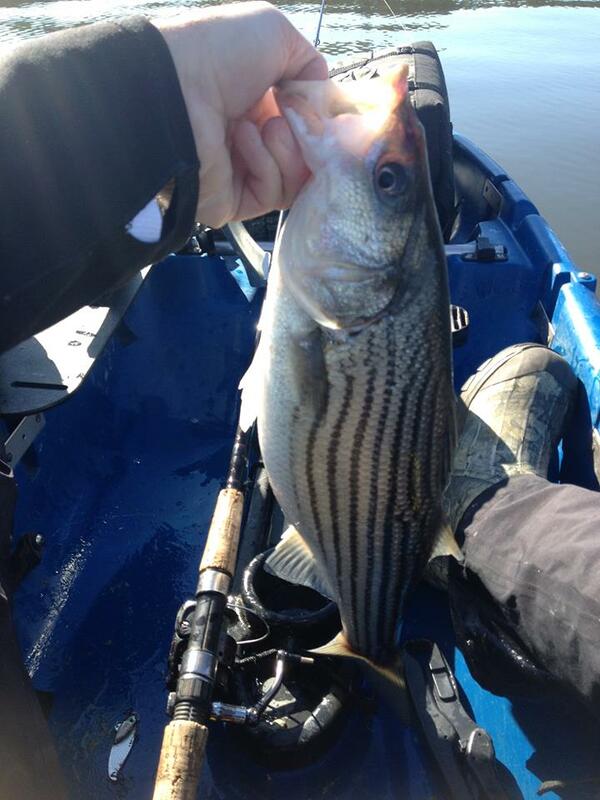 The color of the lure didn’t matter yesterday, but they did want small baits (standard for winter, go small!!). And presentation had to be perfect. If I hadn’t had the sonar on all day I wouldn’t have caught a single fish. They were really holding tight to structure and dead on the bottom. The marks were like bumps on the bottom of the lake, but they were there. Awesome! Man I can’t wait to get out and Fish! Thanks for sharing! 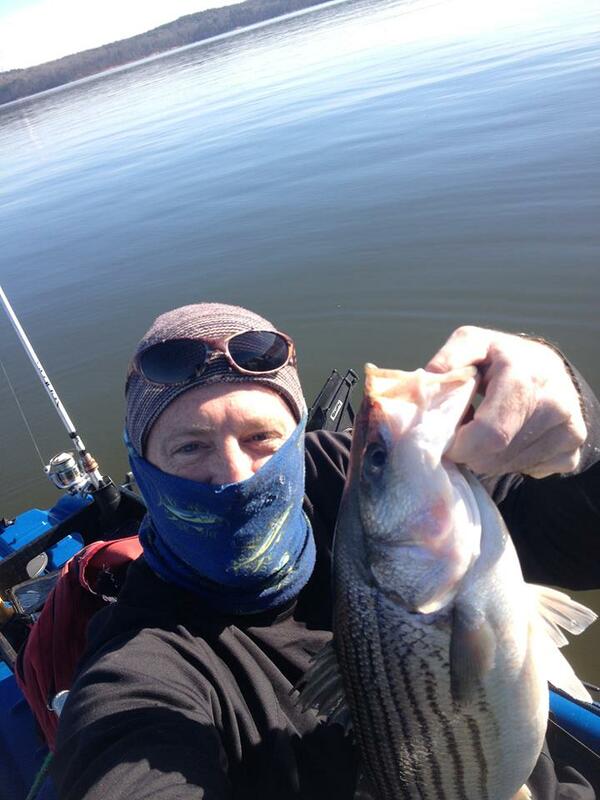 You can fish for stripers anytime of year. They bite just as good in the winter as they do the rest of the year. However, they are far different than bass or catfish. They move around a lot and you don’t just roll down a bank tossing lures at the shoreline. Additionally I was on a lake, not a river, and if you don’t have knowledge of the lake, or people to go with to team up and try to find the fish, I wouldn’t recommend a long trip. 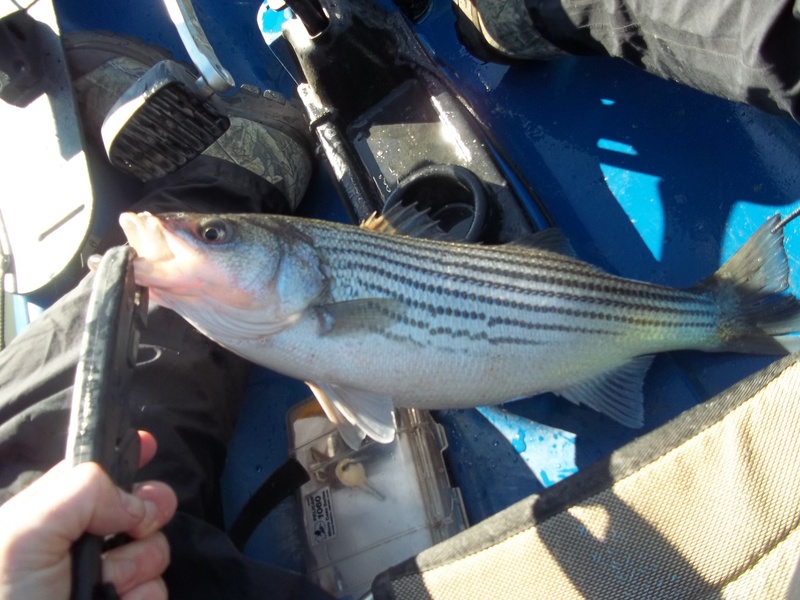 Taking a trip with a guide on a lake with striped bass is a great way to learn where they frequent at different times of the year, also just read! There are lots of articles if you scroll down my homepage that will name lakes and tactics in past years. That’s the best I’ll do publicly as far as telling people where to go. But if you take the time to go over the articles and fishing websites for different lakes, (like the Kerr Lake Boards online) you will quickly get a good idea of how and where to fish for these fish.